The name Tanzania conjures up images of wildebeest stampeding across vast savannah, rain forests teeming with monkeys and birdlife, and great plains brimming with legions of game. All of these natural wonders and more are on offer in this exceptionally diverse African nation. Visitors typically visit Tanzania to partake in at least one of the four well known Tanzanian tourist experiences: a relaxing seaside vacation on the picturesque island paradise of Zanzibar, an underwater tour of some of the world’s most renowned dive sites around the gorgeous Spice Islands, a safari adventure in some of Africa’s most impressive game reserves, or a hiking excursion around Mount Kilimanjaro National Park. Whichever of these incredible holidays you choose, you will undoubtedly be welcomed by some fabulously friendly and peaceful inhabitants who, despite being divided into 120 different ethnic groups and cultures, live in harmony with one another and provide some of the most wonderfully exotic local cuisine you could imagine. With all of this diversity on offer, the most difficult part of your Tanzanian holiday experience is likely to be deciding where to go! Arusha is the safari capital of Tanzania located at the foot of Mt. Meru, close to Mount Kilimanjaro, the Manyara, Tarangire and Ngorongoro National Parks. From there it’s only a short trip to the Serengeti. Just to the north, on the slopes of Mt. Meru is the Arusha National Park. Built by the Germans as a centre of colonial administration because of the temperate climate, Arusha is a good spot to take a day or two off from your safari. The Ngorongoro Conservation Area (NCA) is an extensive highland area along the eastern arm of the Rift Valley, with the world-renowned Ngorongoro Crater as its focal point. Not a national park in the strict sense of the word, the NCA was established to conserve wildlife and other natural resources, as well as to safeguard the interests of indigenous people and promote tourism. Thus, guests on safari have the unique experience of seeing Maasai herdsmen whose cattle graze side by side with the tremendous variety of wildlife found in the area. The Serengeti together with Kenya’s Masai Mara Game Park form Africa’s most famous wildlife park. The image of acacia trees on an endless grass plain epitomises Africa for many, and then add a Masai warrior and some cattle to the picture and the conversation need go no further. The annual wildebeest migration through the Serengeti and the Masai Mara is the largest mass movement of land mammals on the planet – with more than a million animals following the rains. But that is not where the game viewing ends; large prides of lions, elephants and giraffes in grasslands, gazelles and eland to mention but a few. Aside from traditional vehicle safaris, hot-air ballooning over the Serengeti plains has become almost essential and you can even do a horseback safari. From July through to October the Migration is in the Northern Serengeti and this is where many of the most famous scenes of the Migration occur with almost daily crossings of the Mara River. After the Serengeti, Tarangire has the greatest concentration of wildlife in Tanzania and in the dry season the Tarangire River is a magnet for thirsty wildlife. Large herds of elephants and migratory wildebeest, zebra, buffalo, impala, gazelle, hartebeest and eland gather and not surprisingly the predators follow. 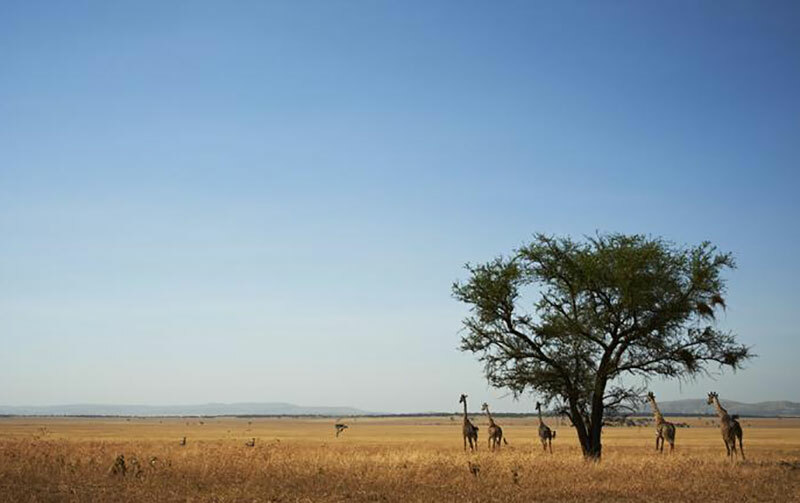 This is also the one place in Tanzania where dry-country antelope such as oryx and gerenuk are regularly spotted. Tarangire is also known for its spectacular baobab trees, and its breathtaking views of the Masaai Steppe and the mountains to the south. Located just a few hours drive from the town of Arusha, Tarangire is a popular stop for safaris travelling through the northern circuit on their way to Ngorongoro and the Serengeti. The park extends into two game controlled areas and the wildlife are allowed to move freely throughout. The second most voluminous freshwater lake on the planet, Tanganyika’s crystal clear waters are said to be among the world’s cleanest and provide a haven for a myriad of fish, including many colourful cichlid species. The lake is almost entirely surrounded by the mountains of the Great Rift Valley and bordered by two stunningly scenic nature reserves: the Mahale Mountains National Park and the Gombe Stream National Park, famous for its chimpanzees. Rising up from the Indian Ocean approximately 25 miles from the Tanzanian coast, this idyllic archipelago consists of Zanzibar and Pemba islands as well as numerous smaller islets. 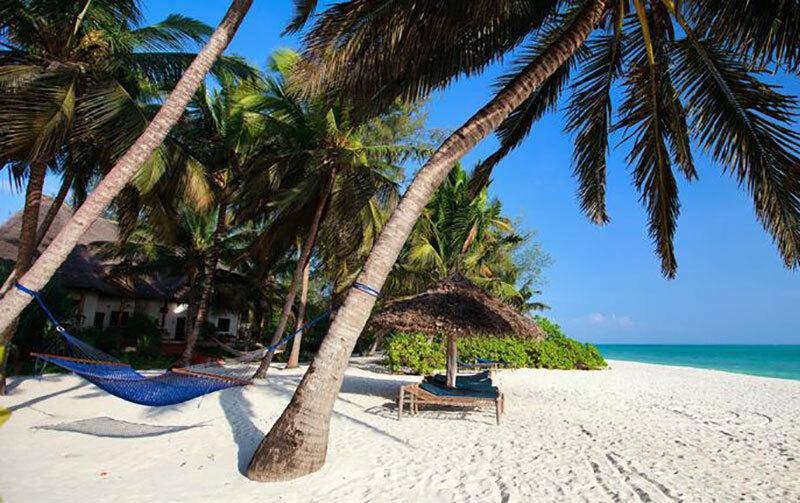 Zanizibar Island (known locally as ‘Unguja’) is characterised by exquisite white sand beaches fringed by palm trees and lapped by turquoise waters lined with coral reefs brimming with an abundance of exotic marine life. This underwater paradise is a mecca for water sport enthusiasts who flock here for the excellent scuba diving, snorkeling, kayaking, windsurfing, water-skiing and sailing on traditional local dhows. The island’s cultural heart is its old city, Stone Town – said to be the only functioning ancient town in East Africa – with its maze of narrow alleyways, lively bazaars, mosques and ornate Arab houses. 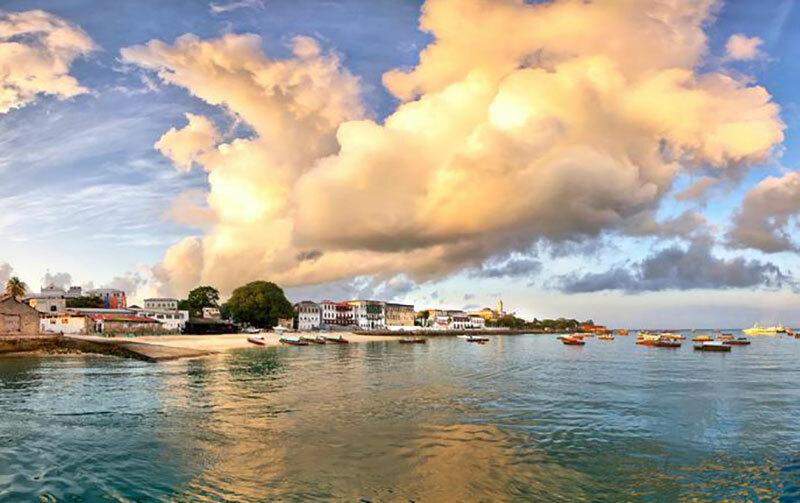 Whether you choose to spend your time: exploring the charming boutiques, bars and restaurants of Stone Town; lounging in a deckchair by the pool of a luxurious resort on the exclusive private island of Mnemba, or hopping from island to island to snorkel or scuba dive, there really is never a dull moment in the island paradise of Zanzibar. • Exploring the home town of Freddie Mercury! Let us craft the perfect Cape Town experience for you. Please see our Connect Page or use the contact details below should you have any queries. Address: 99 Kloof Nek Road, Cape Town, South Africa.